Pool sessions meet at the Waterfront Activities Center and are offered at the University of Washington’s Pavilion pool on either Friday or Sunday during fall, winter, and spring quarters (check the club calendar for specific dates and times). During summer quarter practice sessions take place sporadically (no official weekly schedule) and are held on Lake Washington at the Waterfront Activities Center (WAC). The times and dates of upcoming lake sessions for the summer are posted to the club calender or posted through our listserve. To Join the listserve follow the tab on the right side of the Screen under links, click “Join UKC e-mail list”. 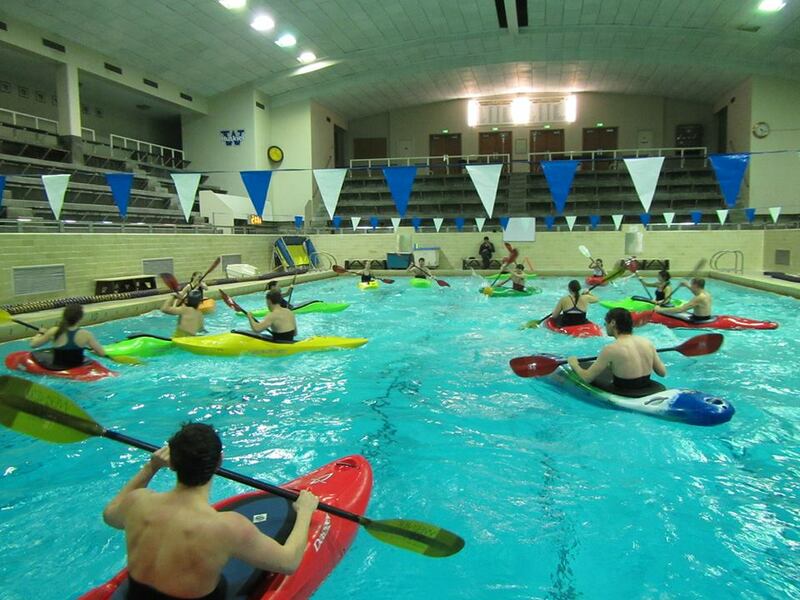 These sessions are a great way to get introduced to kayaking and the club’s activities. 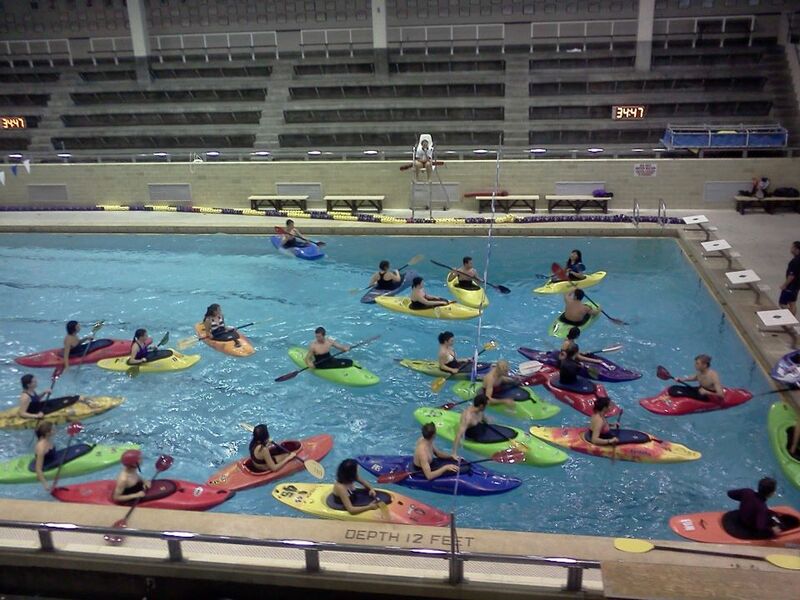 Many basic kayaking skills can be most effectively taught in the pool, including strokes, edging, bracing and rolling. New members are required to attend a pool or lake session before they participate in any other club event. If you are attending your first pool session please make sure you have first joined the club. Then simply show up at the WAC promptly at the start of the pool session, with appropriate pool clothing. Plan to stay though the entire session to receive a briefing on club procedures at the end.